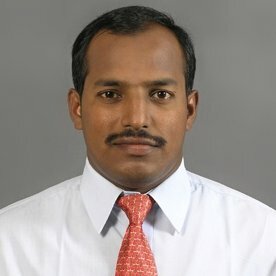 Guest Name : Mr.Thangaraj, Senior Associate, Lotus Knowlwealth, Mumbai. Thangaraj is an M.Com, PGDBA, PGDIB, UGCNET, (Ph.D) with over two decades of work experience across leading financial services companies. He has domain expertise in Finance, Marketing, Multilocation and Multi-business vertical management, Training and Development. Thangaraj has presented papers at National and International Conferences pertaining to research on trade, economics and finance. He has been invited to conduct guest lectures on topics related to Finance, Investment, Capital Market, Derivatives and Skills for the Corporate World. The lecture is a part of Investor Education Programme of SEBI. The lecture will provide awareness on the basic functions and products available for investment in the Indian capital market. The session will throw light on the importance of savings, impact of inflation on the wealth creation process. LKW is a Knowledge driven Capital Market Advisory & Training Company. The company has been promoted by Ashok Kumar ( CA, LLB ) who is a renowned Capital Market Expert with experience spanning over close to two and a half decades. LKW’s core Team comprises CAs, MBA’s and Post Graduates in Finance, Law and Economics. LKW has conducted over 1,500 Seminars and Training Programs on the Indian Capital Markets across corporate houses, reputed B-Schools and also at the Union Finance Ministry’s NIFM.